Legends of Kalidasia has a new Space Battle Map now available over in their webshop. The Reflection Nebula Space Map combines the 'Galaxy of Stars' art style from our previous map with a brand new, beautifully painted, blue tinted, reflection nebula. 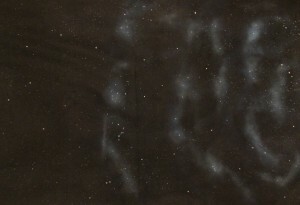 This map expands on the nebula painting technique used in the standard map by incorporating three shades of blue paint and blue stars to create the illusion of a distant reflection nebula. Available in two sizes - 6 feet by 4 feet and 3 feet by 3 feet, it is perfect for use with Legends of Kalidasia: Rise of the Surakari as well as other space combat miniature games.